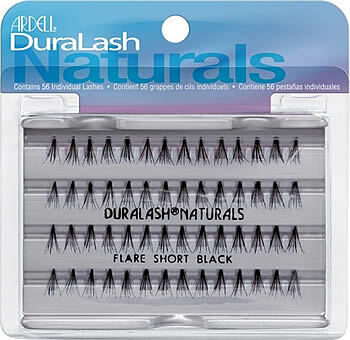 Ardell DuraLash Naturals (56 individual lashes) Short Length lashes are KNOT FREE, weightless, waterproof, and easy to apply. 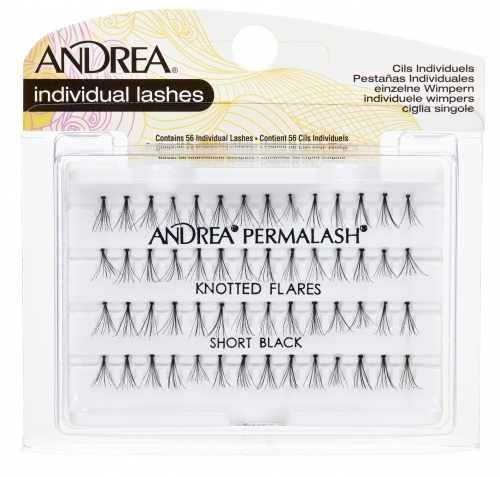 Each package contains 56 easy to apply short length individual lash clusters. Length is approx. 8mm long. Because these lash clusters are knot-free, they do not have clumsy knots or dark bands, making them one of the most natural looking lashes on the market. Plus, these lash clusters can be worn for up 6 weeks at a time! The beauty of individual lashes is that you can add more for a more full and voluminous look or just wear a few on the corners of your eyes for an extremely naturally accentuated look. Thoroughly clean your eyelids so they are make up and oil free. 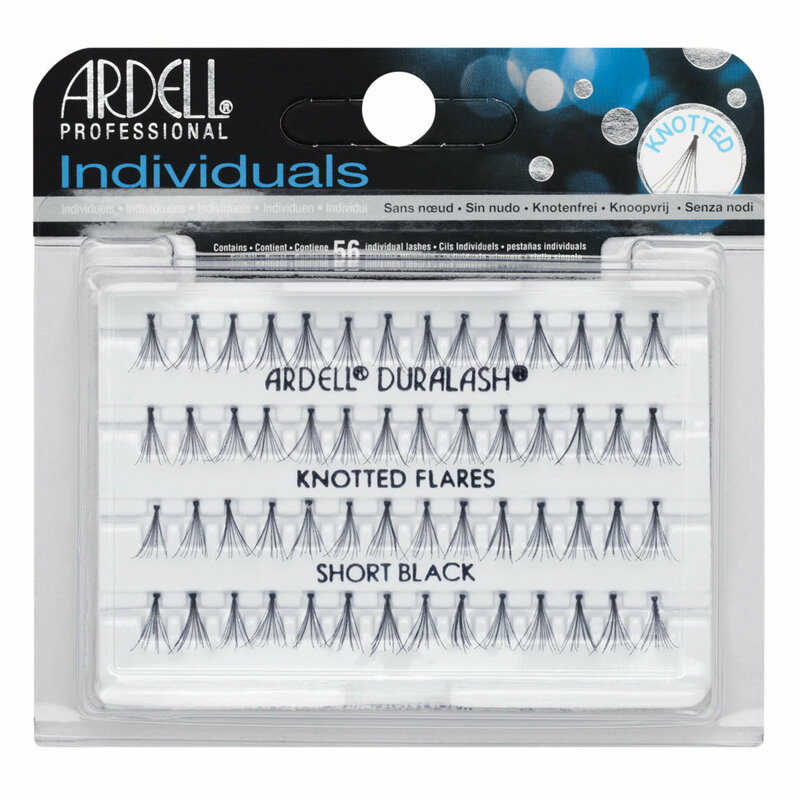 Lift an Ardell Duralash Naturals Short Knot Free Individual Lash cluster from the tray with tweezers and dip into the adhesive. Start at the center of the eyelid and work outward. Return to center and work inward until lashes blend. Curl your natural lashes before you start applying Ardell individual lashes. Draw your eyeliner on before you apply the individual eyelashes as it would be a little difficult to draw over the extensions without making a bit of a mess. To apply (optional) mascara, do so after you have applied the individual extensions and when glue has dried completely. Clusters of eight to ten false lashes. Each are no longer than a fingernail. Nothing tops off a good winged liner than our flared lashes. These lashes will bring the perfect amount of drama to your makeup look no matter the occasion. Individual cluster lashs are as natural-looking as it gets. The learning curve requires a steady hand and some initial practice. Once you get the hang of it after a few tries, you can volumize your natural lashes in just fraction of the time with a few clusters to make a big difference in the way your eyelashes will look! I wear these daily. I absolutely LOVE them. I couldn't live without them. 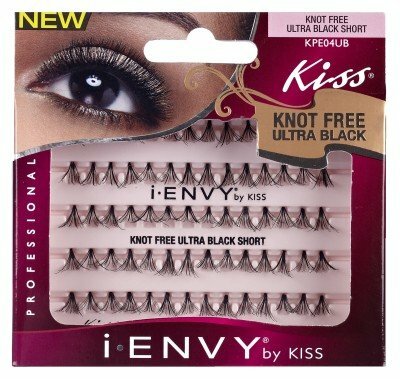 I wear these on the outside half on the top eyelid and the knot-free on the inner lid. It is a perfect combination. I can't say enough about these. I prefer these over the full strip lashes. They are perfect if you want to add volume to your lashes and not too much length. Exactly what I need, These always work great on me. I have gotten them many times and they never fail me. I use LashTite from this widsite with them and they say on for weeks with little shedding.